Royal Routes India is a boutique travel company based in Rajasthan, India that provides customized luxury tours of India to clientele from across the world. Redefining the luxury travel space in the Indian subcontinent, Royal Routes offers tailor-made itineraries for travelling in India that go beyond traditional tourism and promise you a truly delightful immersion in the sights, sounds and flavors of this exotic region. Whether you look forward to a dash of adventure and nature or an inspiring cultural exposition, Royal Routes personalized services help you discover the Indian subcontinent, your way! 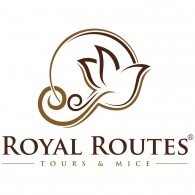 We at Royal Routes carefully listen to your interests and understand your needs. Only after that we craft a travel plan for travelling in India that fits your expectations and requirements in terms of itinerary, style and comfort demands. We are one of the few select luxury India tours companies that practice responsible travelling and integrate environmental sustainability in our travels, proactively ensuring minimum ecological footprints. Our luxury tour packages in India will create an unmatched travel experience that will be etched on your mind for a long time to come.